Laurie + MaryJane produces top shelf, full-spectrum edibles. Through rigorous (and delicious) testing, our handcrafted edibles are a consistent source for cannabis-infused goodness. Laurie + MaryJane products can be found in 200+ stores around Oregon - find a dispensary near you with our store locator. If you’d like to see Laurie + MaryJane at your favorite dispensary, email us at info@laurieandmaryjane.com. We would love to hear from you! 50mg THC Total - Perfect for Sharing! 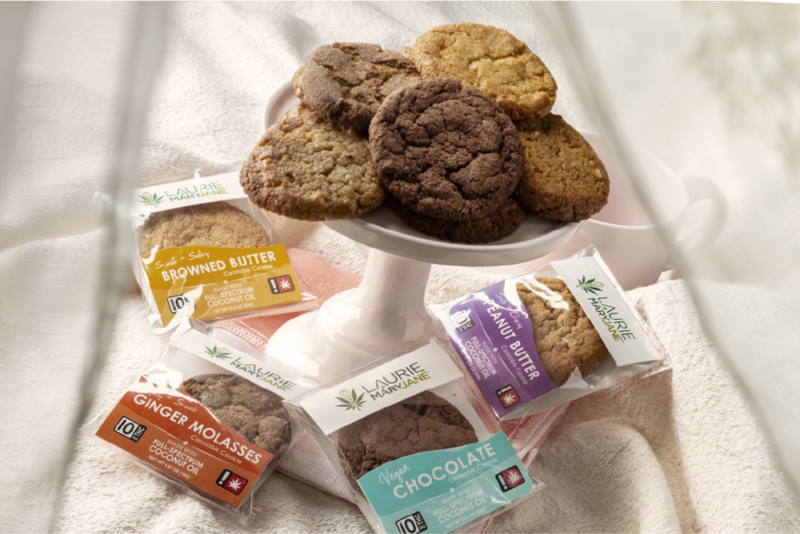 Our original line-up for edibles ranges from the rich and creamy Brownie Truffle Bites to the spicy and savory Cheese Crisp Crackers - all baked to perfection and infused with a full-spectrum coconut oil. These crowd favorites are perfect for sharing, if you are an exceptionally generous person. What happens when you combine our Fudgy Brownies with a rich chocolate buttercream? You roll that creamy, decadent blend in pure chocolate sprinkles. And then you have a chocolate-lovers dream. Creamy, rich, delectable. One of our original products, the Almond Cake Bites always get rave reviews. They are pleasantly crunchy and chewy at the same time - and great with a cup of tea or coffee. Or perhaps topped with a mini scoop of ice cream. These small-batch, cheese crackers are a savory, slightly spicy cannabis-infused treat. WARNING: It may be difficult to only eat one. Plan accordingly. Our Fudgy Brownie Bites are rich, not too sweet, with a dash of espresso and just a hint of cannabis. The un-infused version of this recipe has been handed down over generations. But it's never been better! Our Fruity Nut Bars are a healthy alternative to many of the sugary sweet edibles on the market. They are vegan, gluten free and no sugar added! 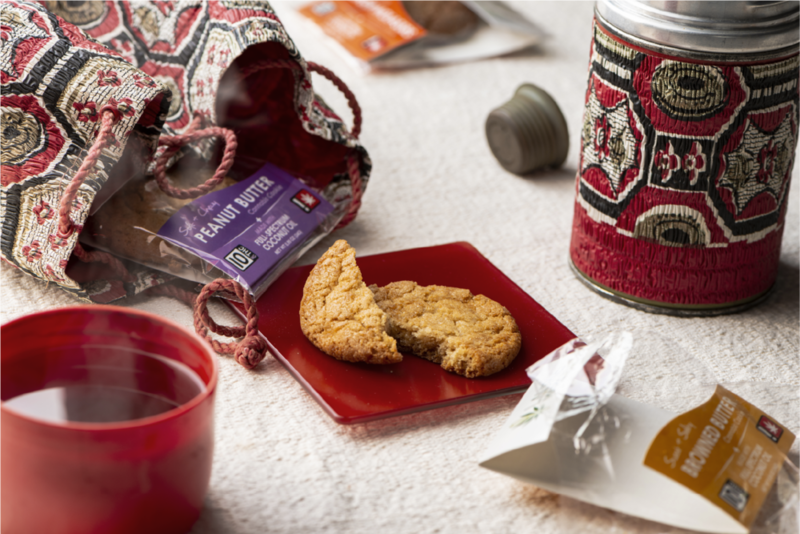 All bars are naturally sweetened with dates and dried fruit, and blended with toasted cashews and organic puffed brown rice to add a delicious crunch that contrasts nicely with the chewy texture of the dates and dried fruit. Available in Sativa, Indica, 1:1, and CBD so customers can have a variety of choices for their specific needs.